James King picks up trash from a strip of grass between the street and sidewalk on North 12th Street, an idle mower behind him. King, who grew up near 29th Street and Courtland Avenue, has always walked his own path, sought to define life by his own standards. “My father instilled in me … he always said, ‘James, no matter what you do, you be the best. I don’t care what it is, you be the best. If you be a drug dealer, you be the best drug dealer; If you be a doctor, you be the best doctor … If you gonna be a fool, you make damn sure you be the best damn fool,’” he says. James received a lot of “tough love” from his father. Living where they did, it was common to see dope boys on the corner or a young woman walking the street. But there was always church and his father’s belt to remind him of the straight and narrow. “Now that I look back … I used to get a whoopin’ a lot,” says King, who was the second youngest of six. Because of this dynamic, James acted out, at school and at home. He was a self-professed class clown. After graduating in 2004, James started out as a security guard before deciding to take some college courses. But, when he got a high-paying job at We Energies with full benefits, that changed. Around that same time, James was in the midst of a custody battle over his first child; his father had also fallen ill due to diabetes. He eventually died of congestive heart failure at the age of 56. About four years ago, King started his own business doing janitorial and landscaping work. He also works with men who have been incarcerated. Did you find value in James’ story? 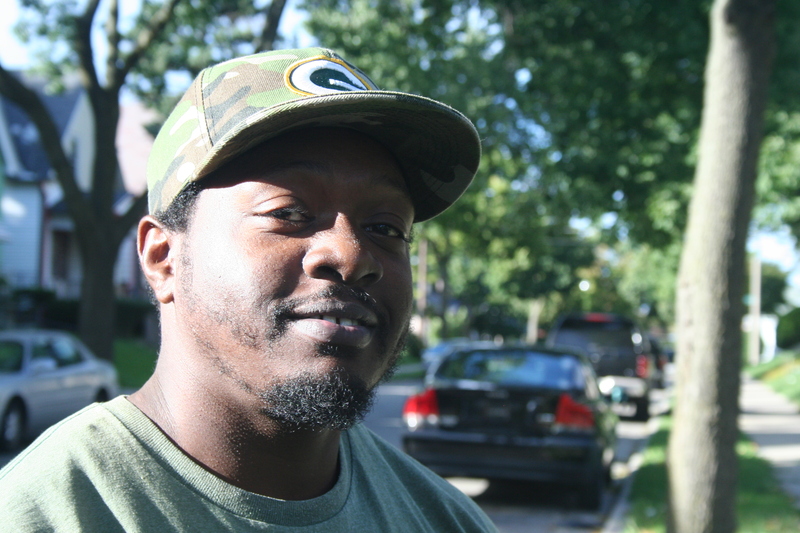 If so, please subscribe to our newsletter; we publish the story of a different Milwaukeean every week.